Meeshie and I went to camp this past weekend with her girl scout troop. I love her troop. Every girl makes me smile and every mom makes me laugh. To say I had a great weekend, is really underselling it. We had perfect weather. The activities included: archery, candle making, rifle shooting, rock climbing, canoeing, paddle boating, hiking and horse back riding. 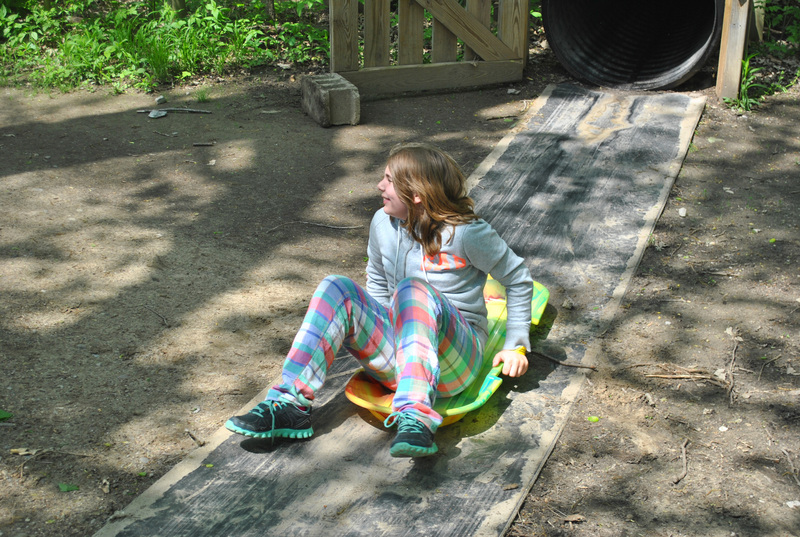 The picture above is one of the two awesome slides for the girls to enjoy. The hiking was world-class. Lots of trails and beautiful sights. Meeshie asked that I make trail mix for the trip. This was a perfect treat. Everyone enjoyed it. I transferred it to a resealable bag and it went very quickly. I used a fabulous recipe from Alton Brown. I love him. I really wish that Good Eats was still on the air. I have to get my fix through reruns, which is better than nothing. 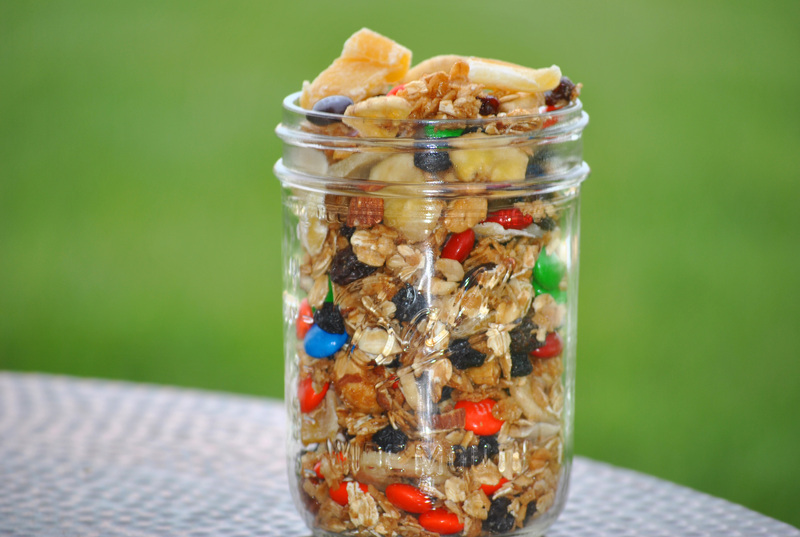 The key to good trail mix, in my opinion, is good granola. Thanks again Alton. In a large bowl, combine the oats, nuts, coconut, nutmeg, cinnamon, brown sugar and raisins. In a separate bowl, combine the honey, vegetable oil, and salt. 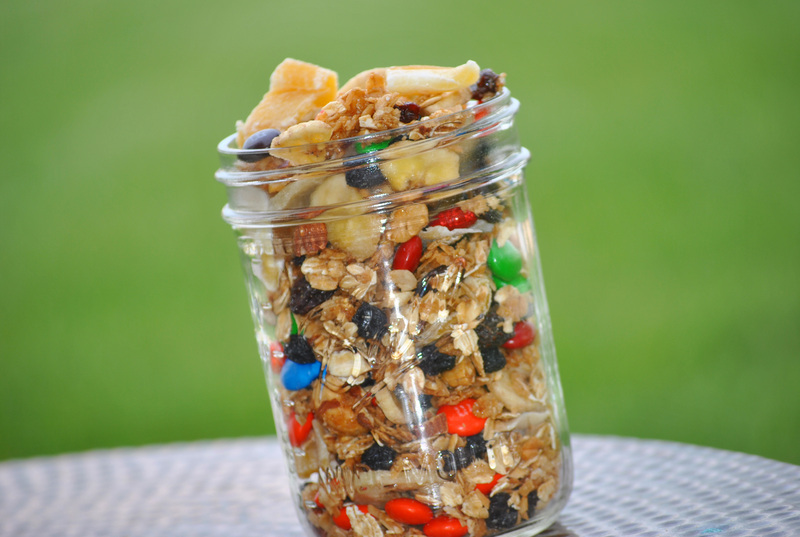 Combine both mixtures and pour the granola on a large jelly roll pan or two cookie sheets lined with parchment paper. Bake in 250 degree oven for and hour and 15 minutes, stirring every 15 minutes to prevent over browning. Combined ingredients in a large bowl resealable bowl. You are currently browsing the Meeshiesmom's Blog blog archives for May, 2013.